Speckled Mercury Glass With Brushed Nickel Plated Details And Crystal Accents. 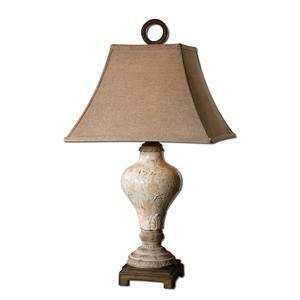 The Slightly Tapered Rectangle Hardback Shade Is A Light Beige Linen Fabric With Natural Slubbing And Rounded Corners. 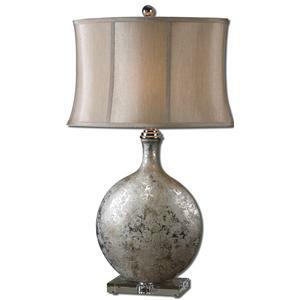 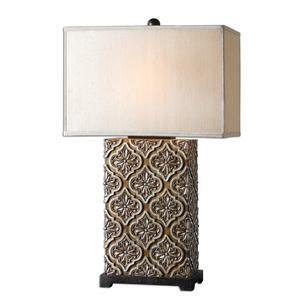 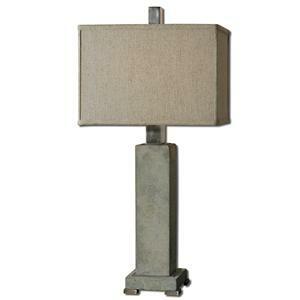 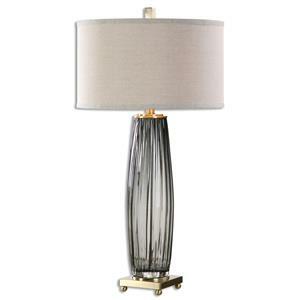 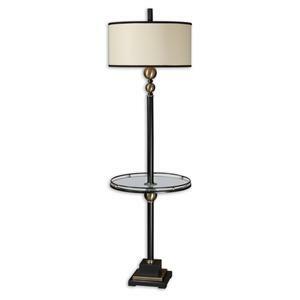 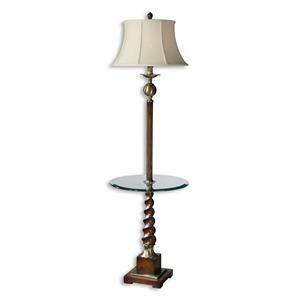 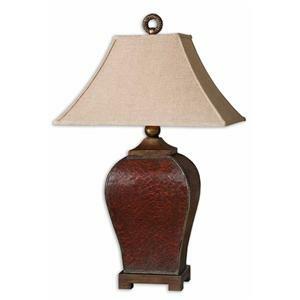 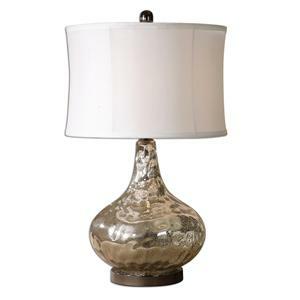 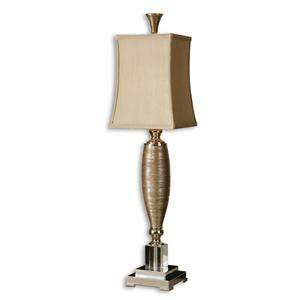 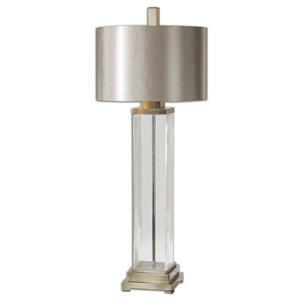 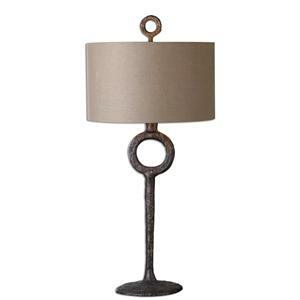 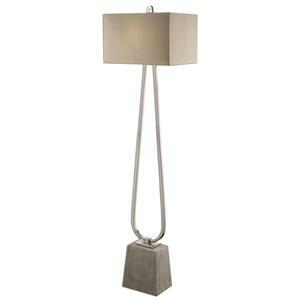 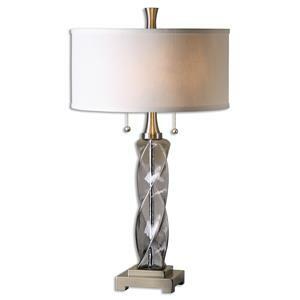 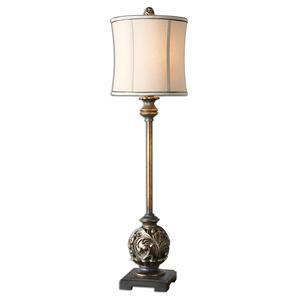 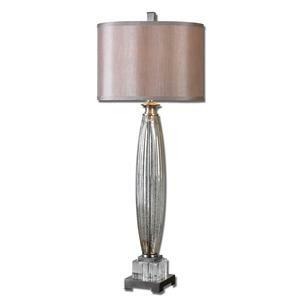 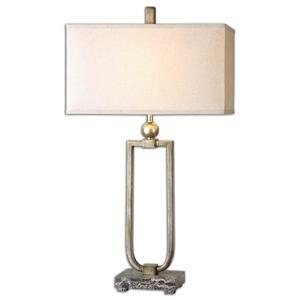 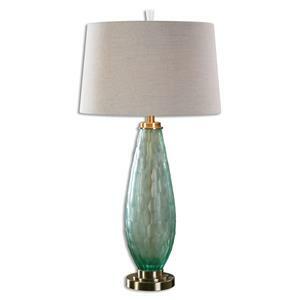 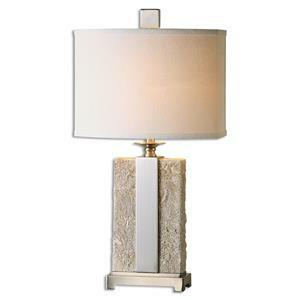 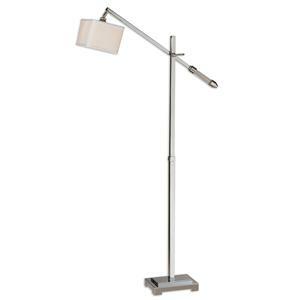 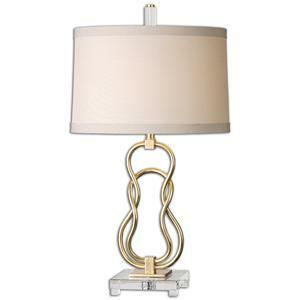 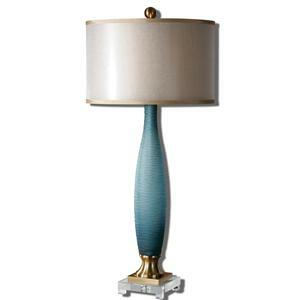 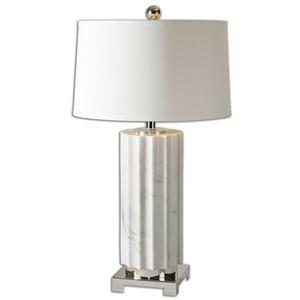 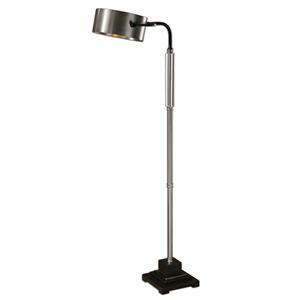 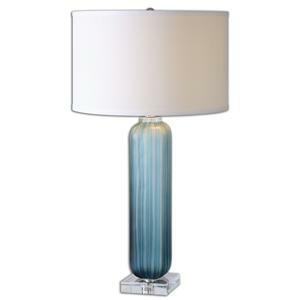 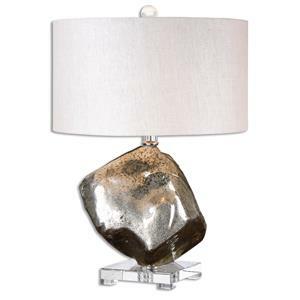 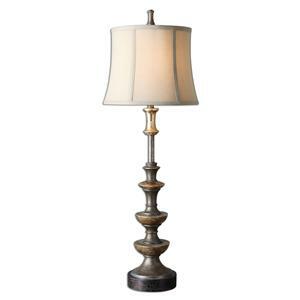 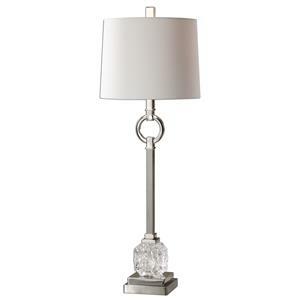 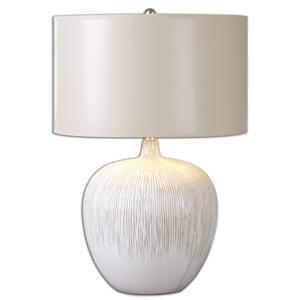 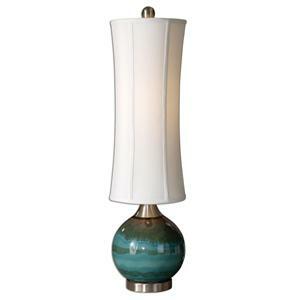 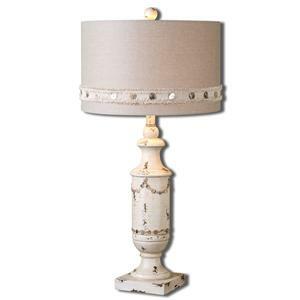 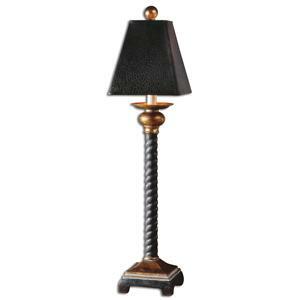 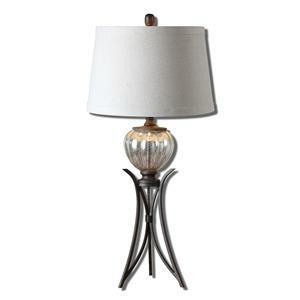 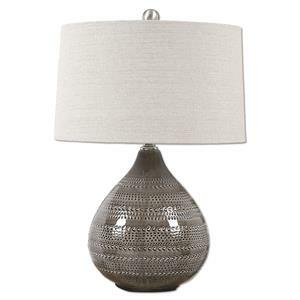 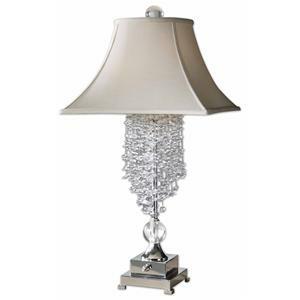 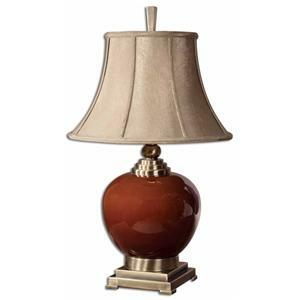 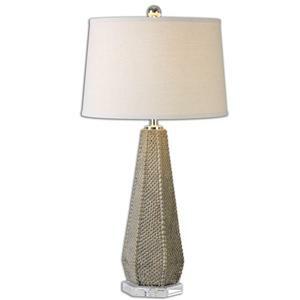 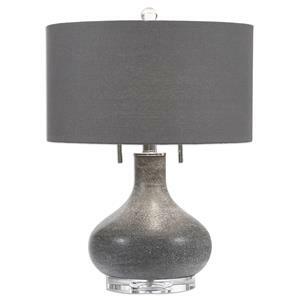 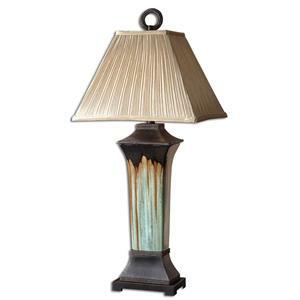 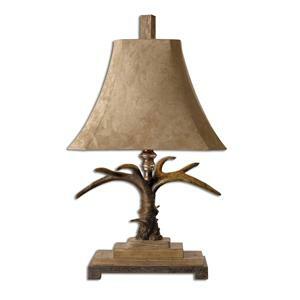 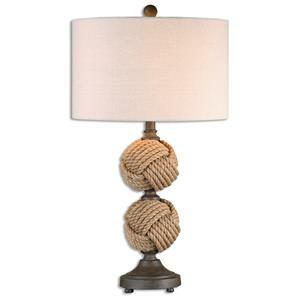 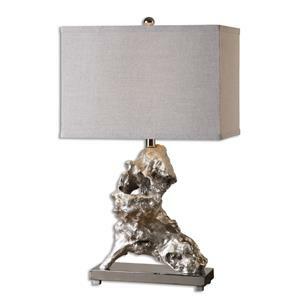 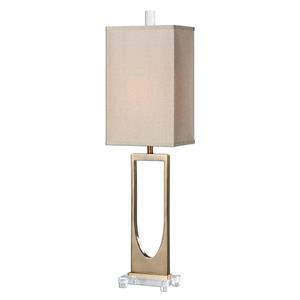 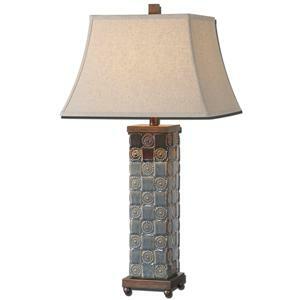 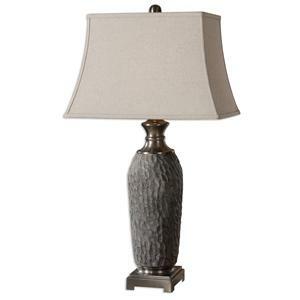 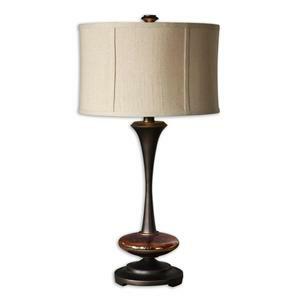 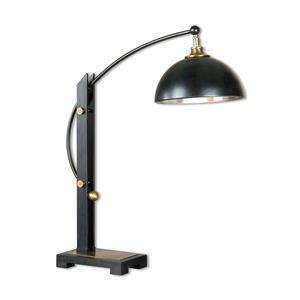 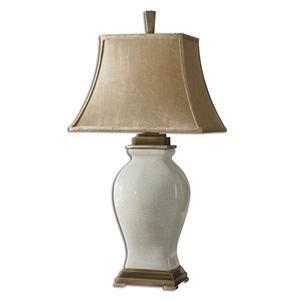 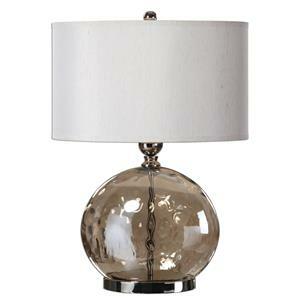 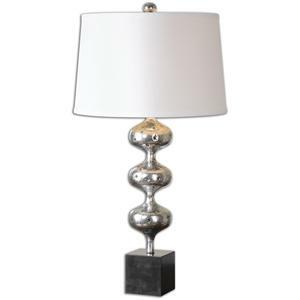 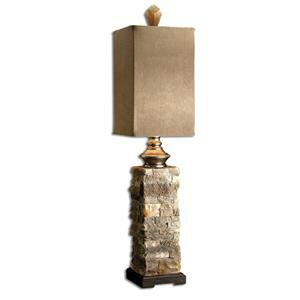 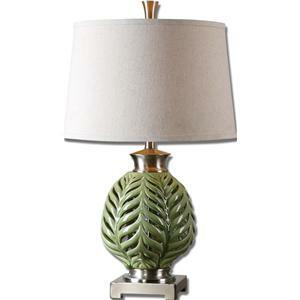 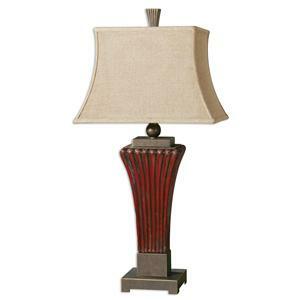 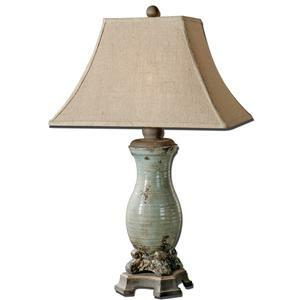 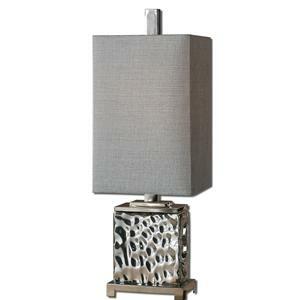 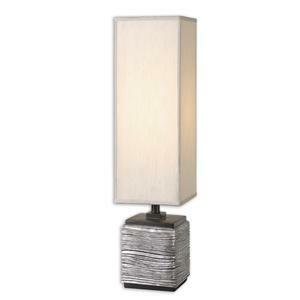 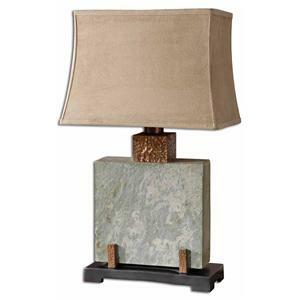 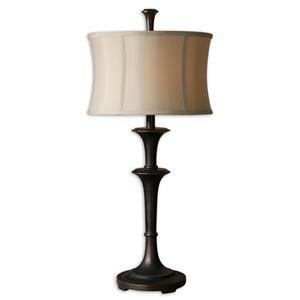 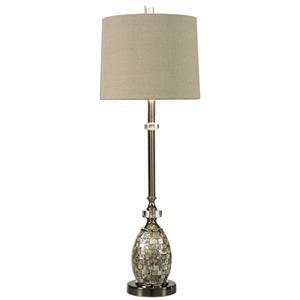 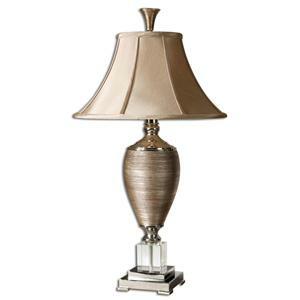 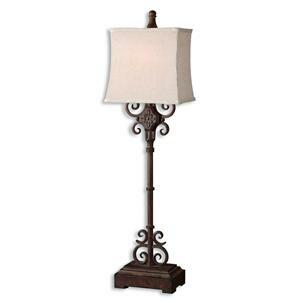 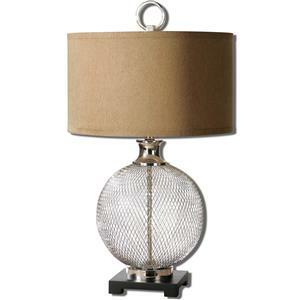 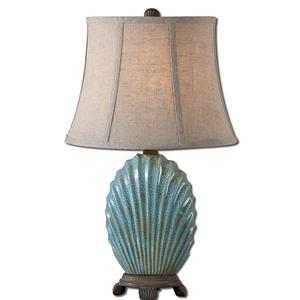 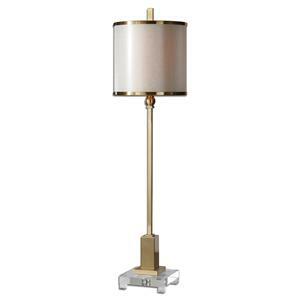 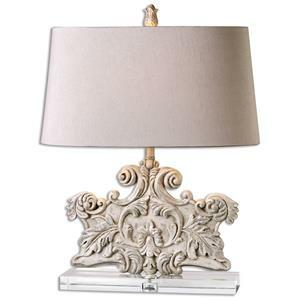 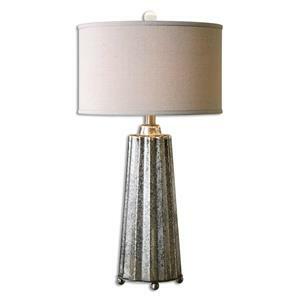 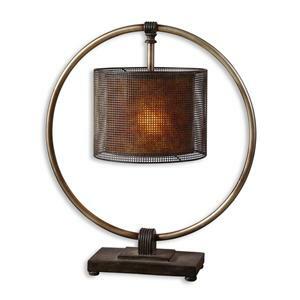 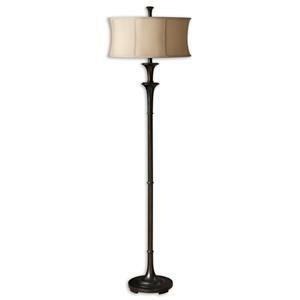 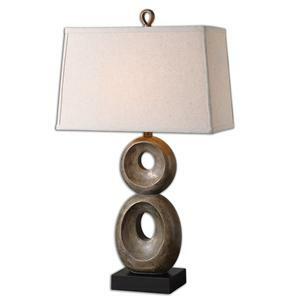 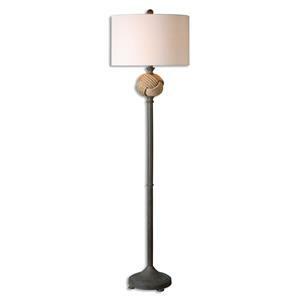 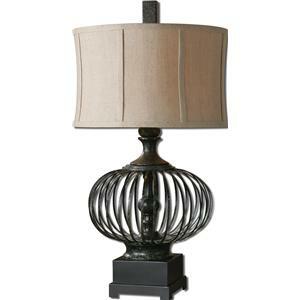 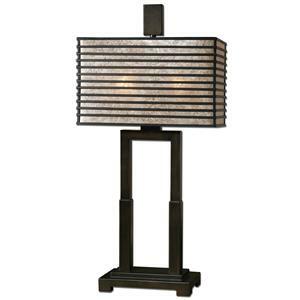 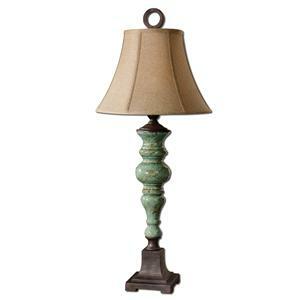 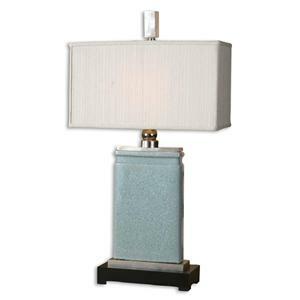 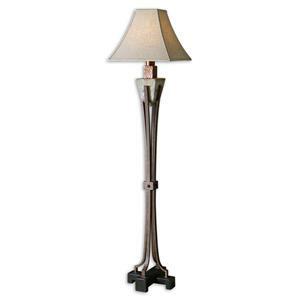 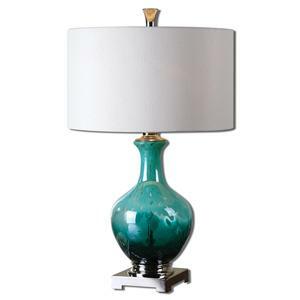 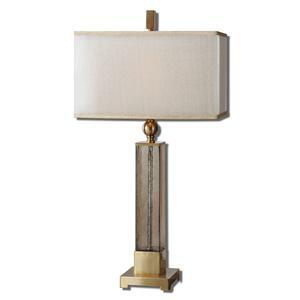 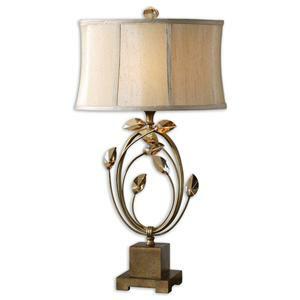 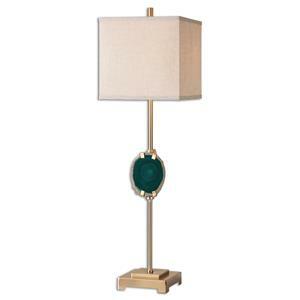 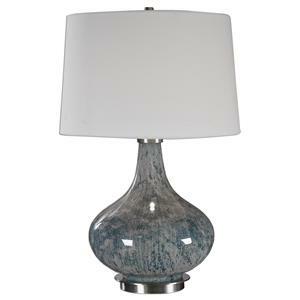 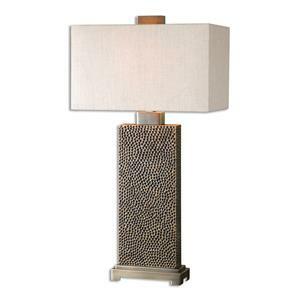 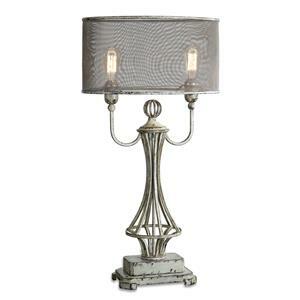 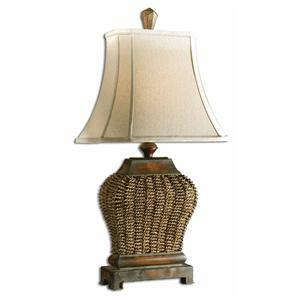 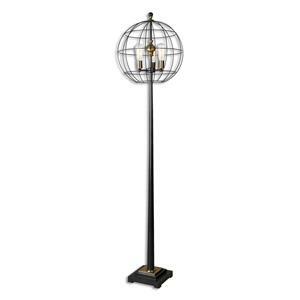 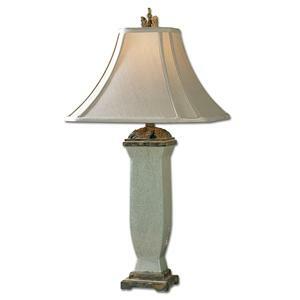 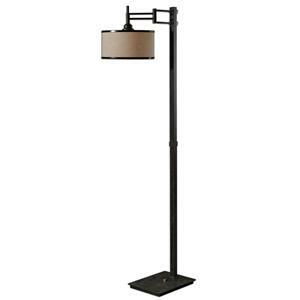 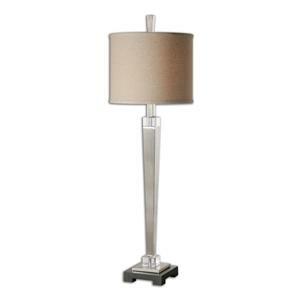 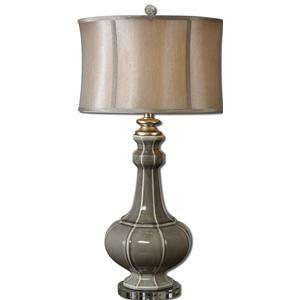 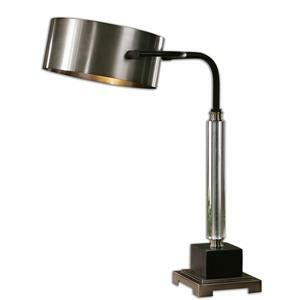 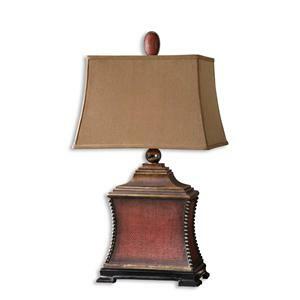 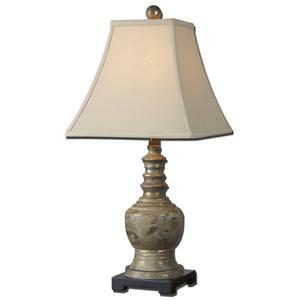 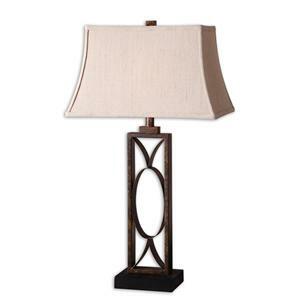 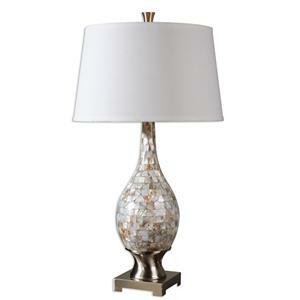 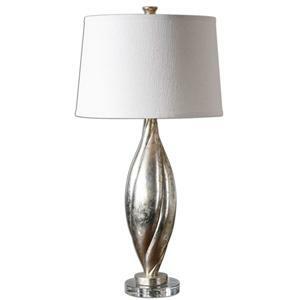 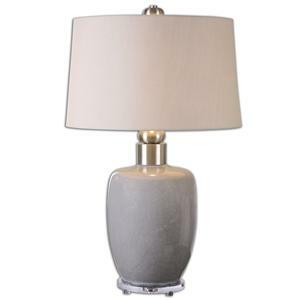 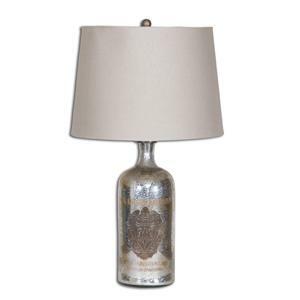 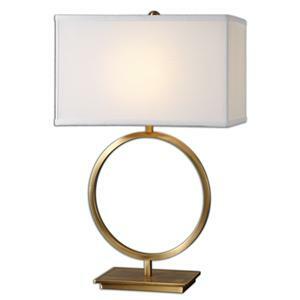 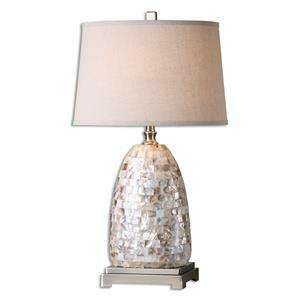 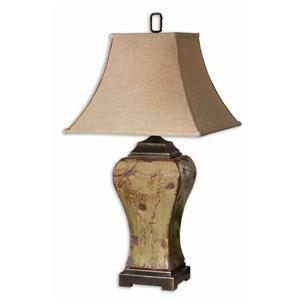 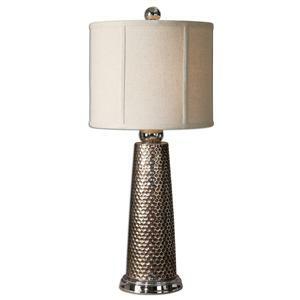 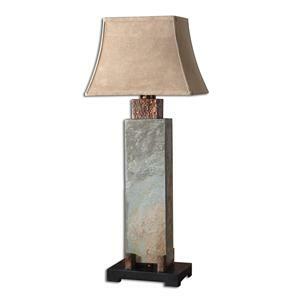 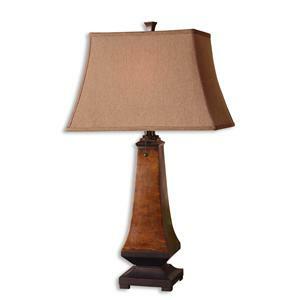 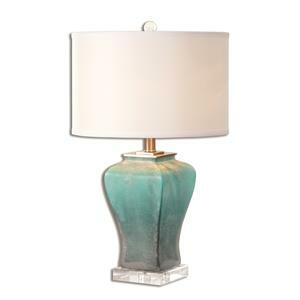 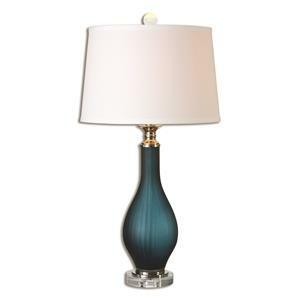 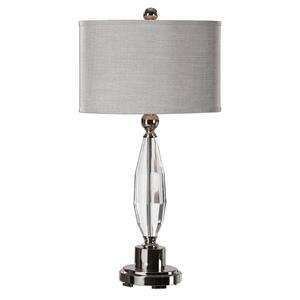 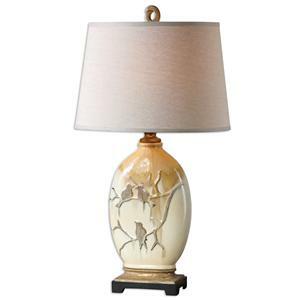 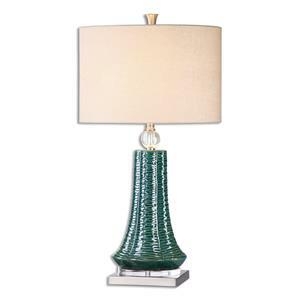 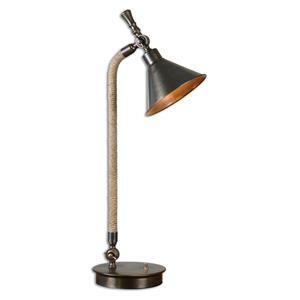 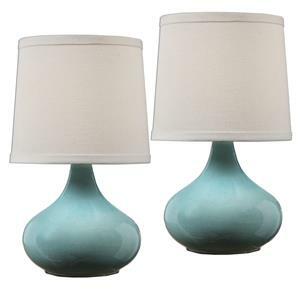 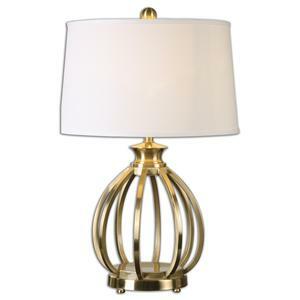 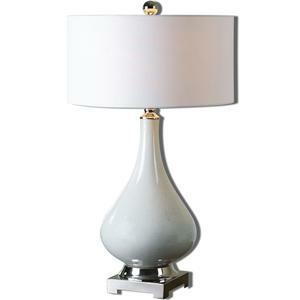 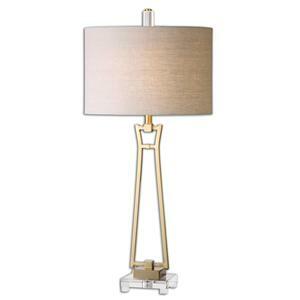 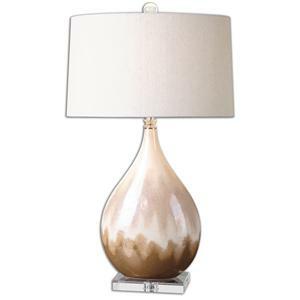 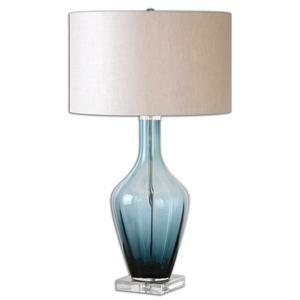 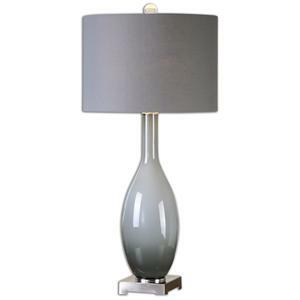 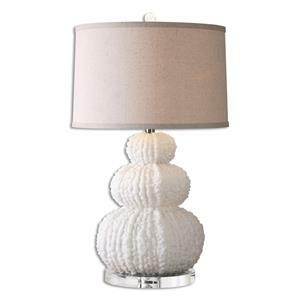 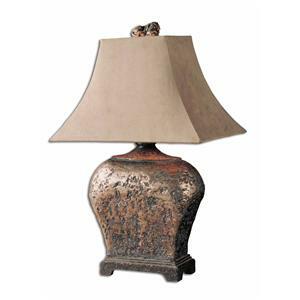 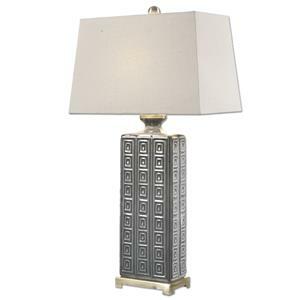 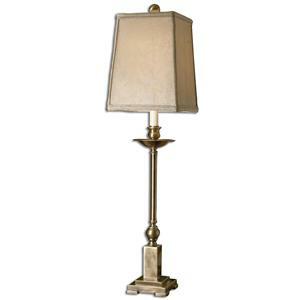 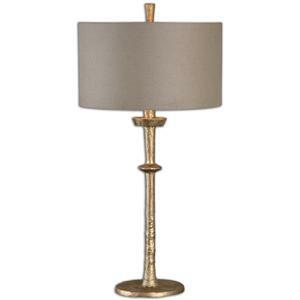 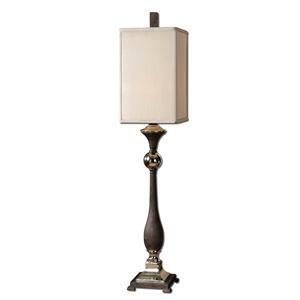 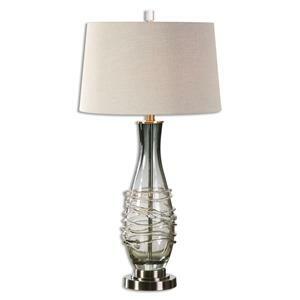 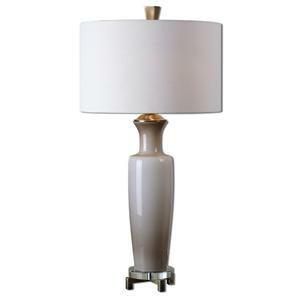 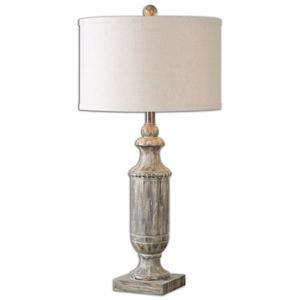 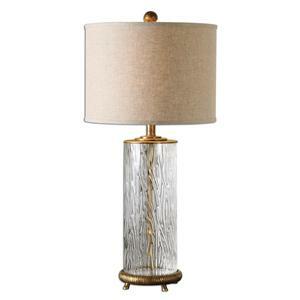 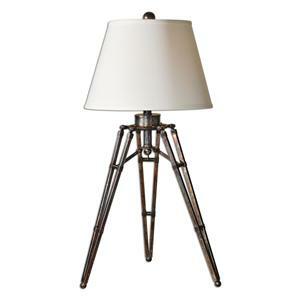 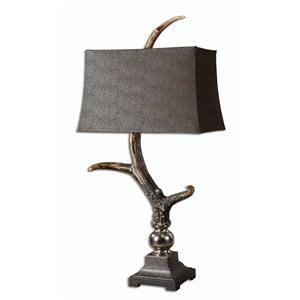 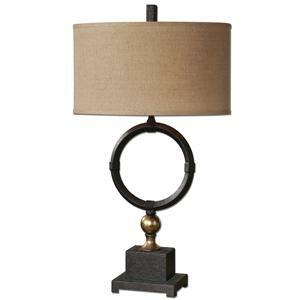 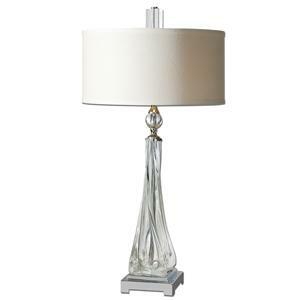 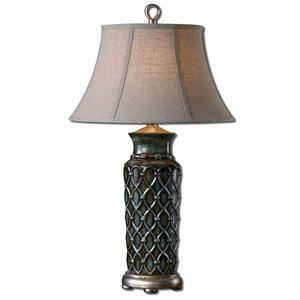 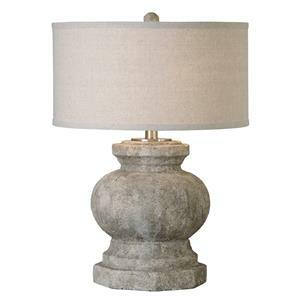 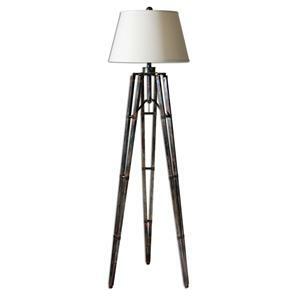 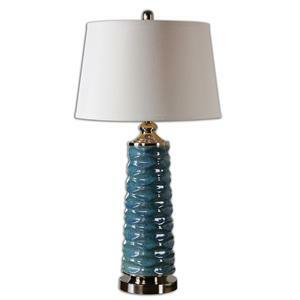 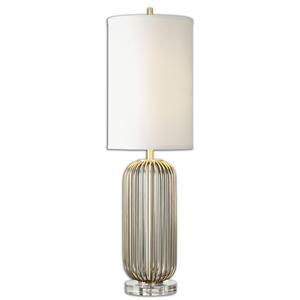 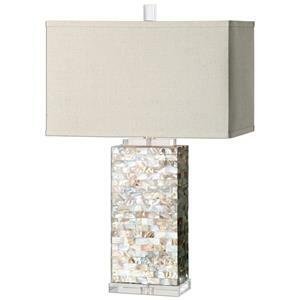 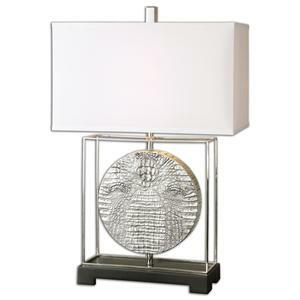 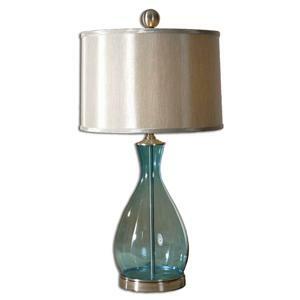 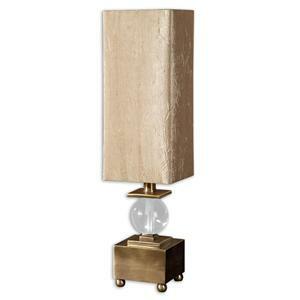 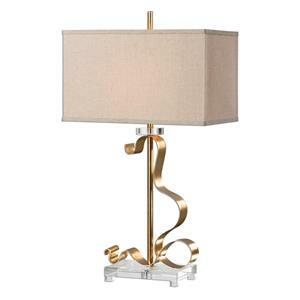 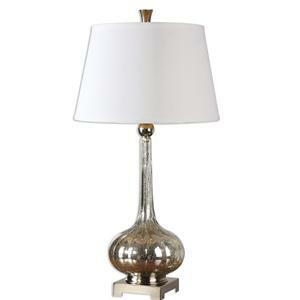 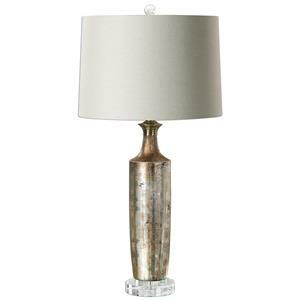 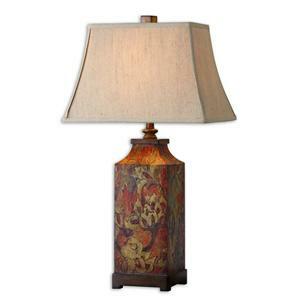 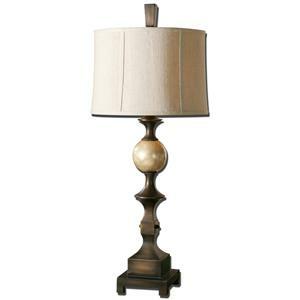 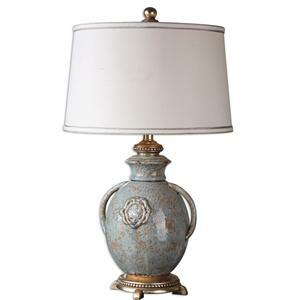 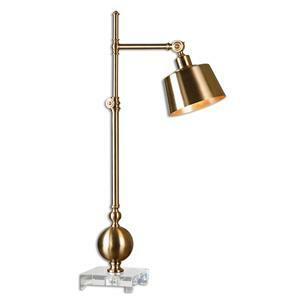 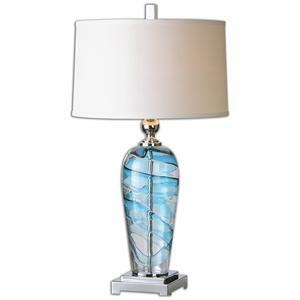 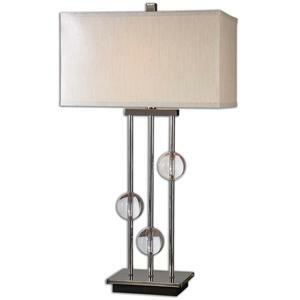 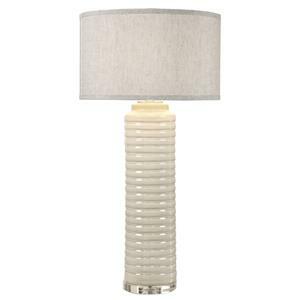 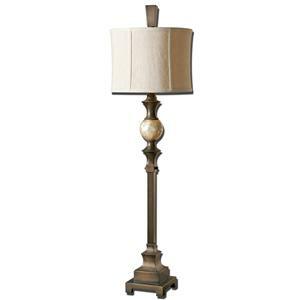 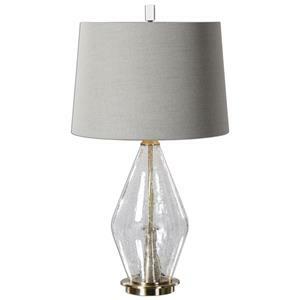 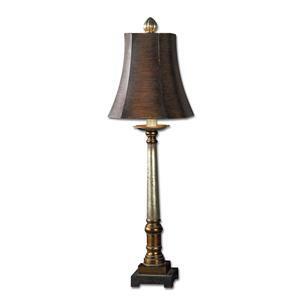 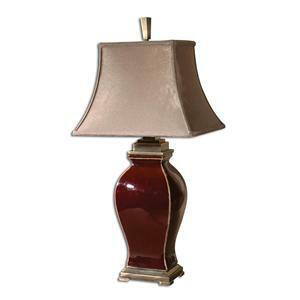 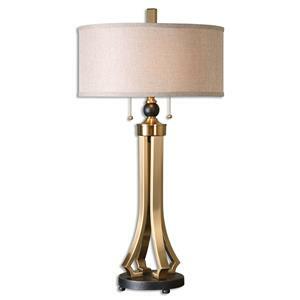 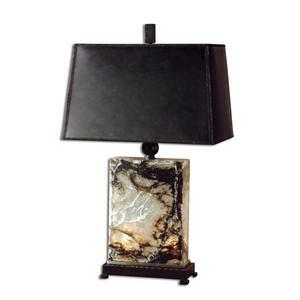 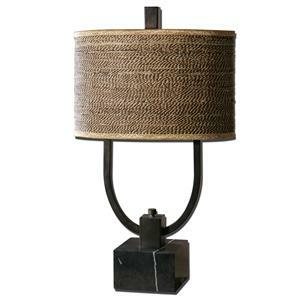 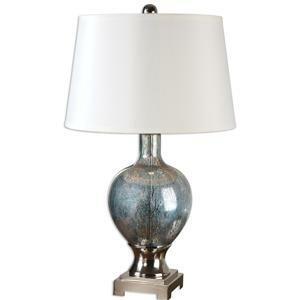 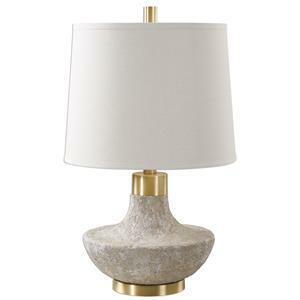 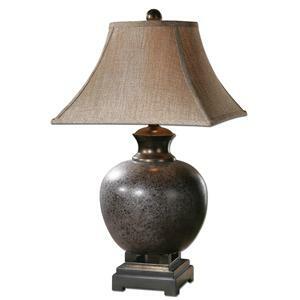 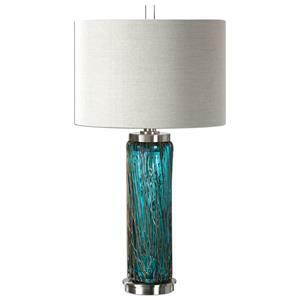 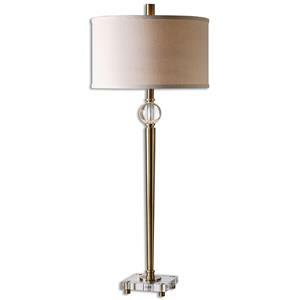 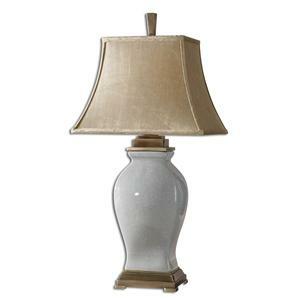 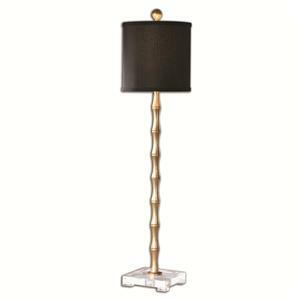 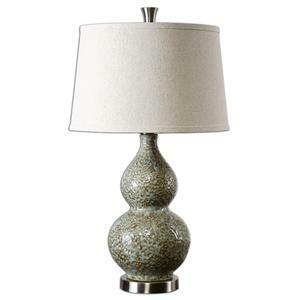 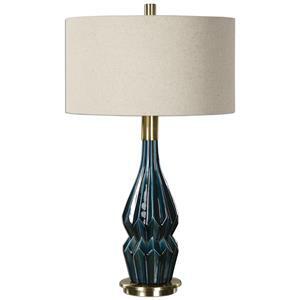 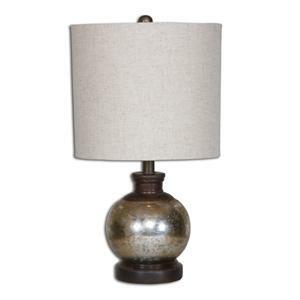 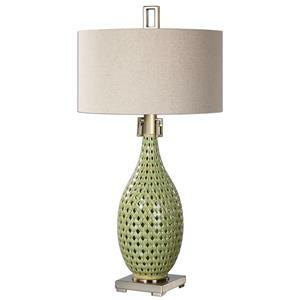 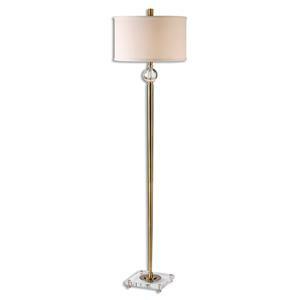 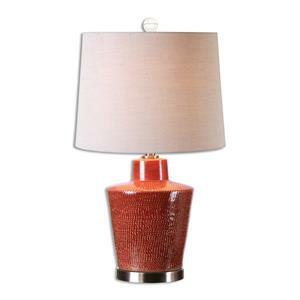 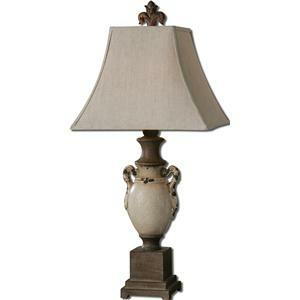 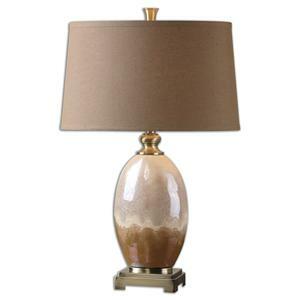 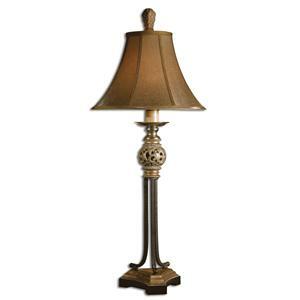 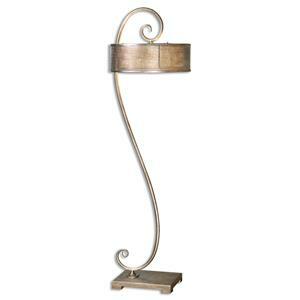 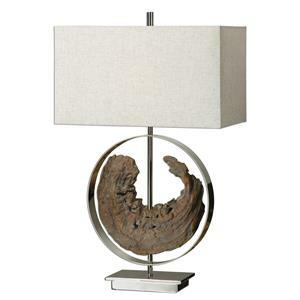 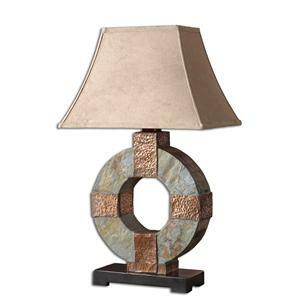 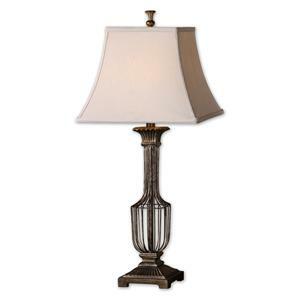 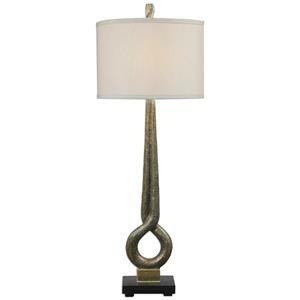 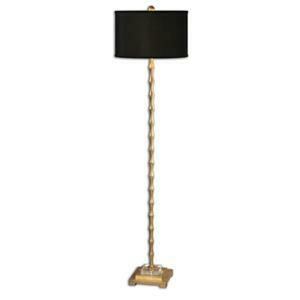 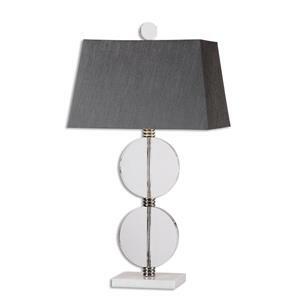 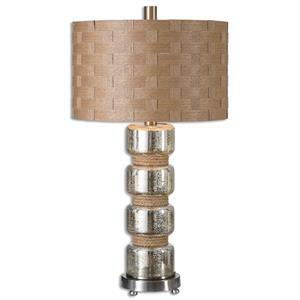 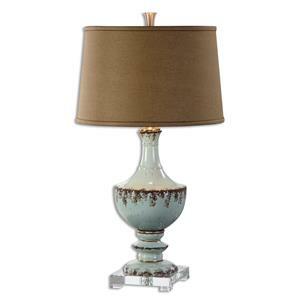 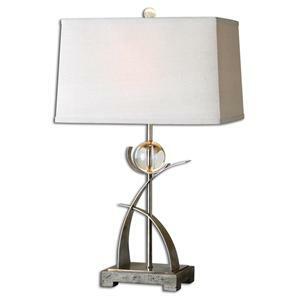 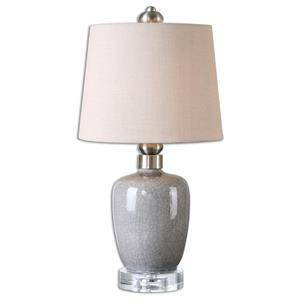 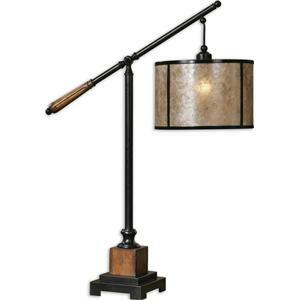 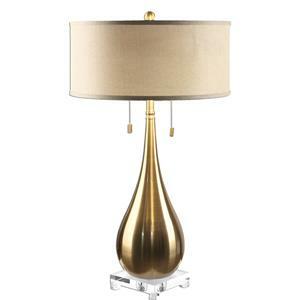 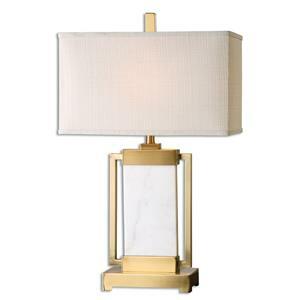 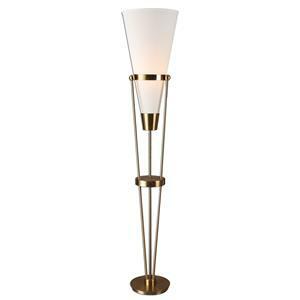 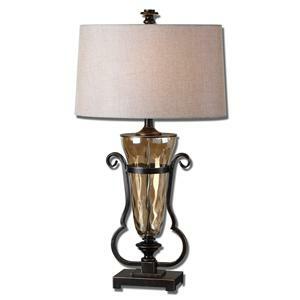 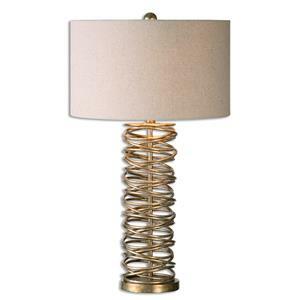 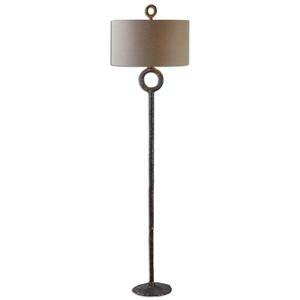 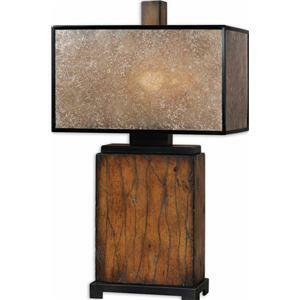 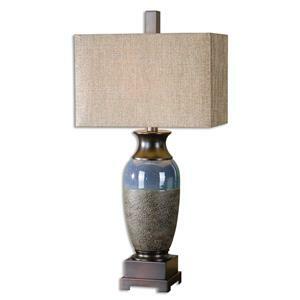 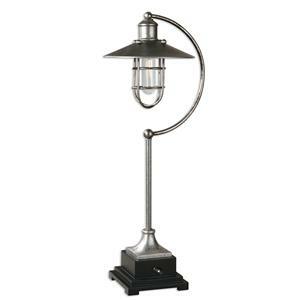 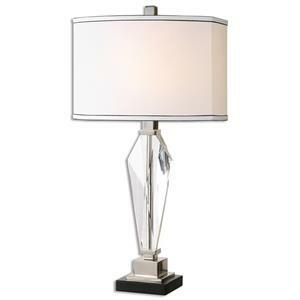 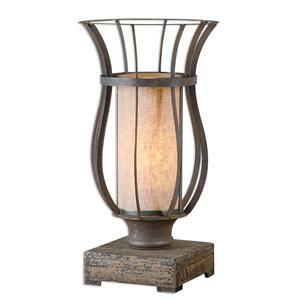 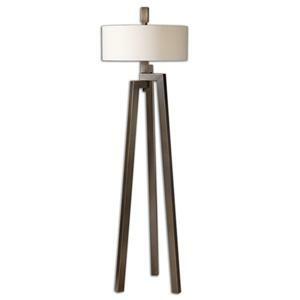 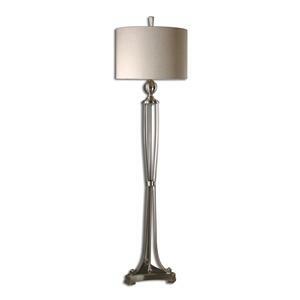 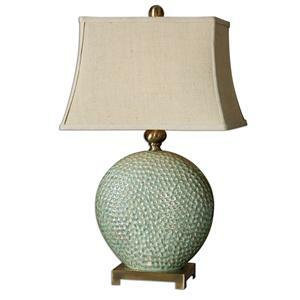 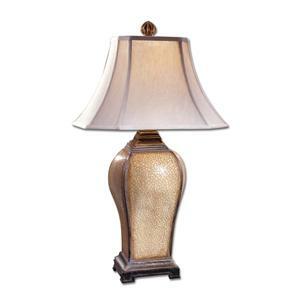 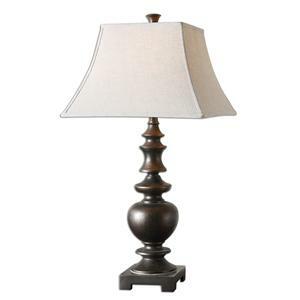 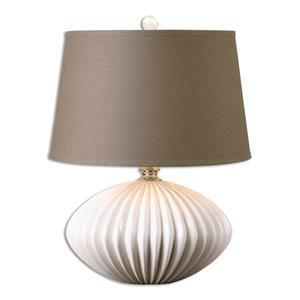 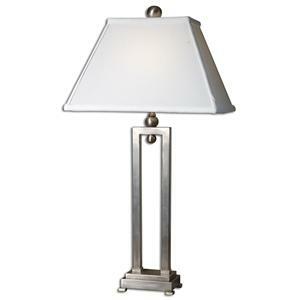 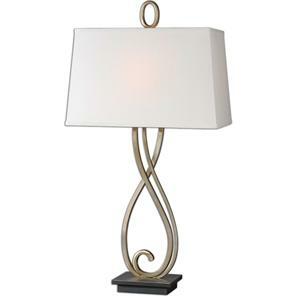 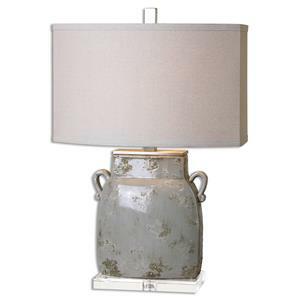 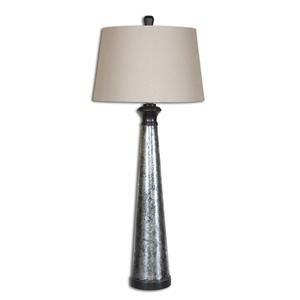 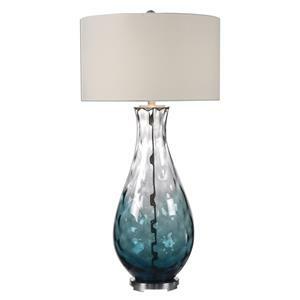 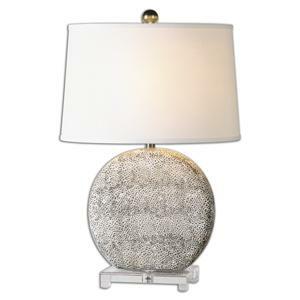 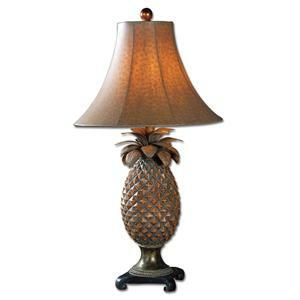 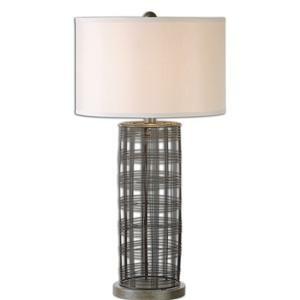 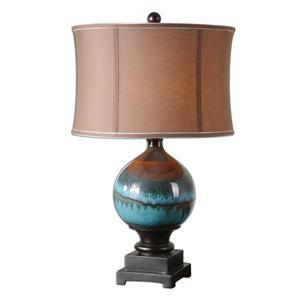 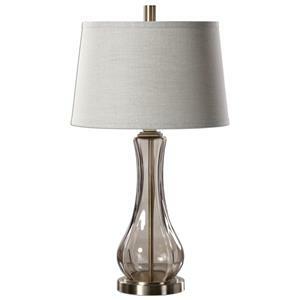 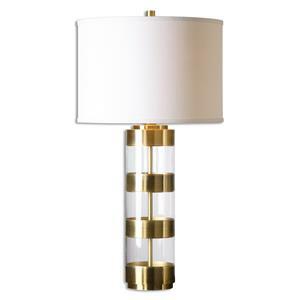 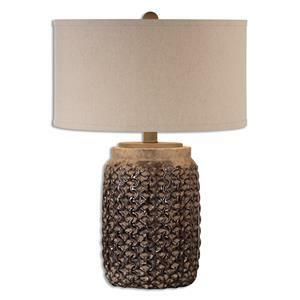 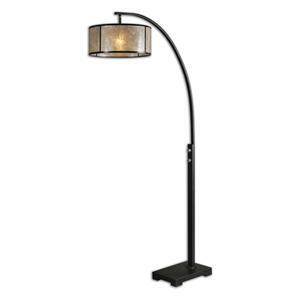 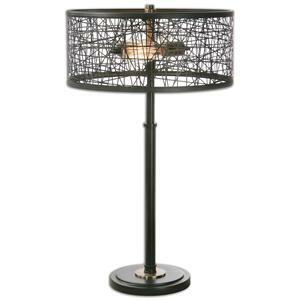 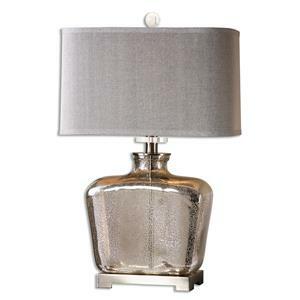 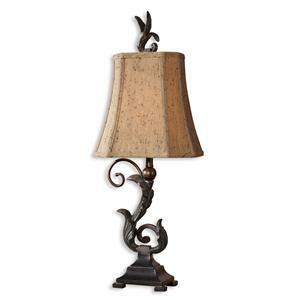 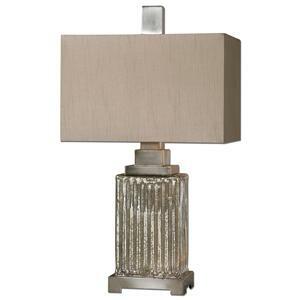 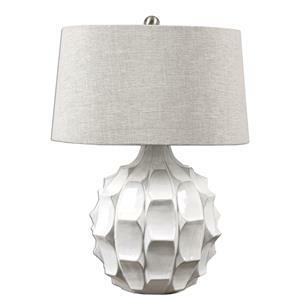 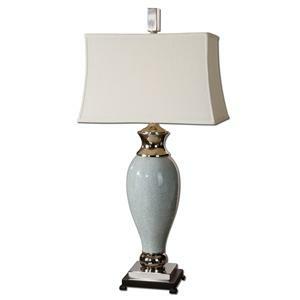 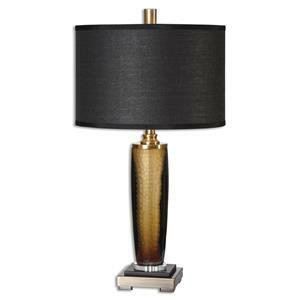 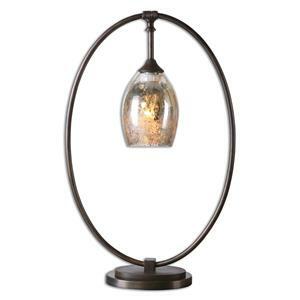 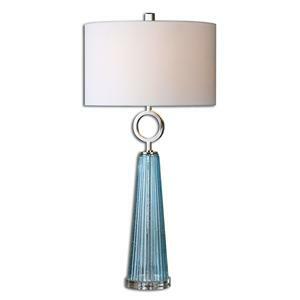 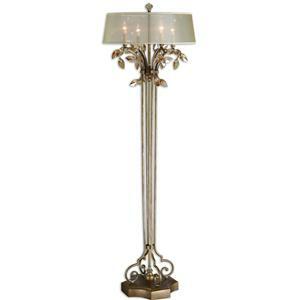 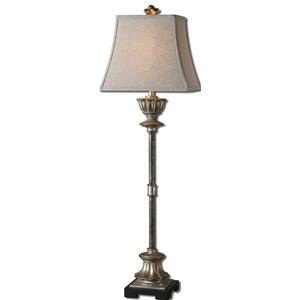 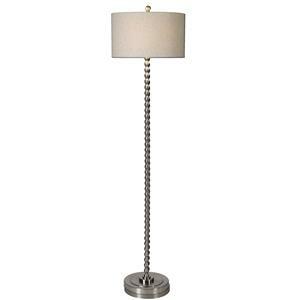 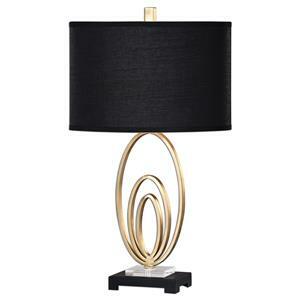 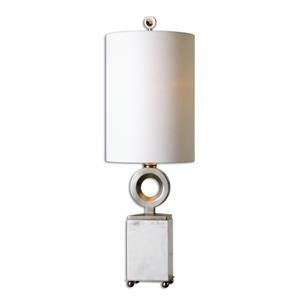 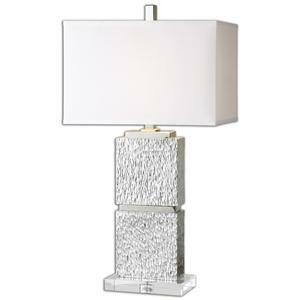 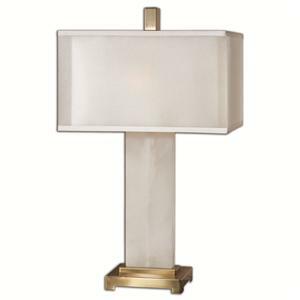 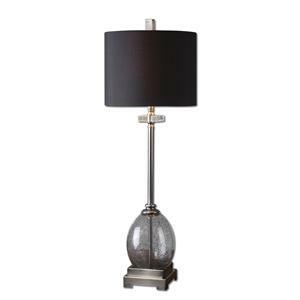 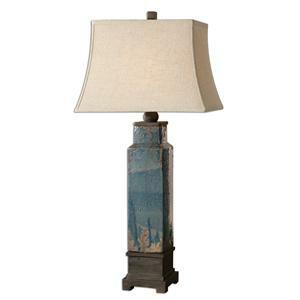 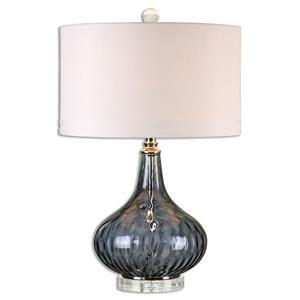 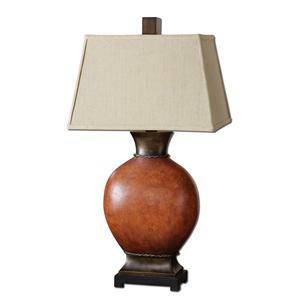 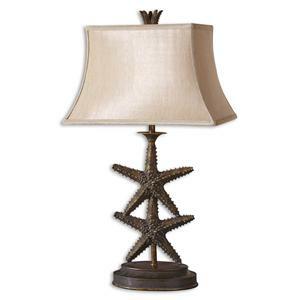 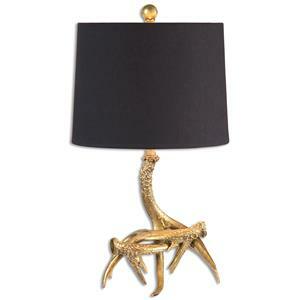 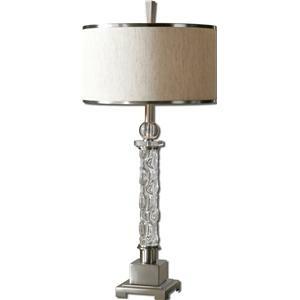 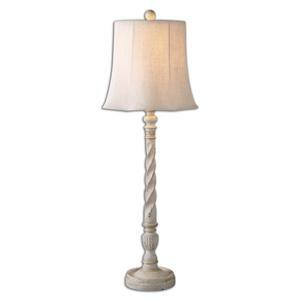 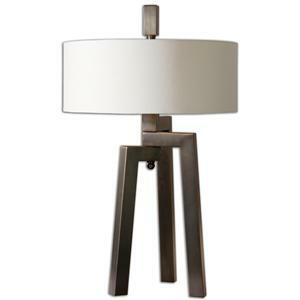 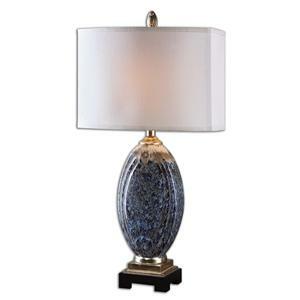 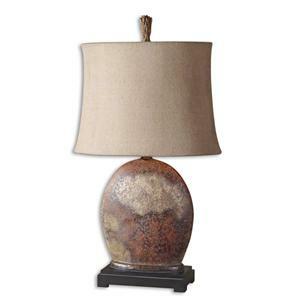 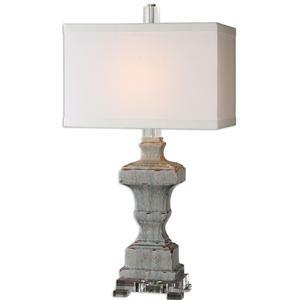 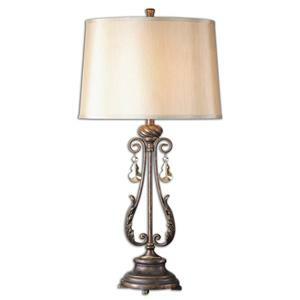 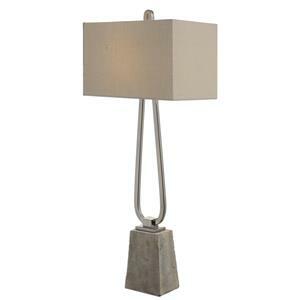 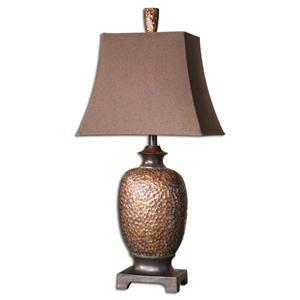 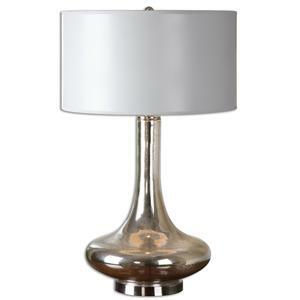 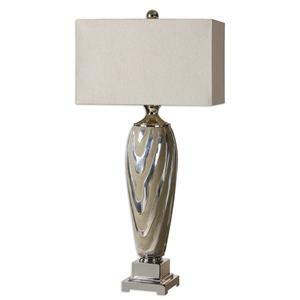 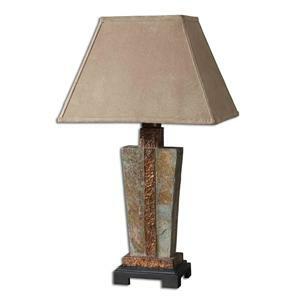 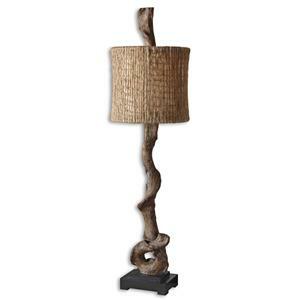 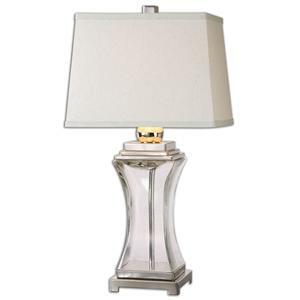 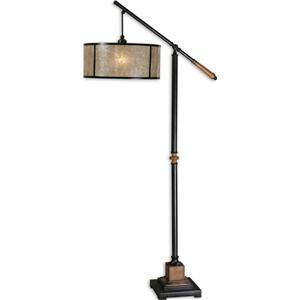 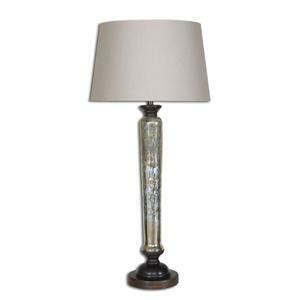 The Lamps Molinara Mercury Glass Table Lamp by Uttermost is available in the area from BigFurnitureWebsite.